Jesmyn starts this book with a quote from Genesis in The Bible. The quote is about Rebekah whose twins struggled with each other while Rebekah was pregnant with them. Then she introduces these twins named Christopher and Joshua. This seems like the making for a good story right? Well, Jesmyn never develops this story. I was expecting for the twins to have a fight and split-up and there would be some drama, but nothing like that happened at all. Jesmyn tells this story of the twins who were raised by their grandmother. They graduate from high school and one twin gets a job at a shipyard and the other twin starts selling drugs. There is an absent mother and father who reappear in their lives, but Jesmyn does absolutely nothing with any of this, and she basically just ends this story, leaving a lot to be desired. 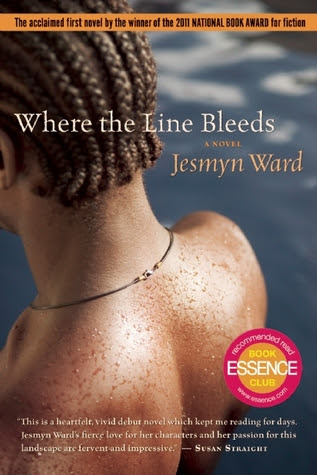 This book has all the makings for a good story, but just like Salvage the Bones, Jesmyn fails to deliver a good story. My next read is Catcher in the Rye by J.D. Salinger. I didn't know she had written this book. I saw her speak a few months ago. She must've been touring for the paperback release of Men We Reaped. That was one of the most moving author events that I've attended. I saw a man with tears in his eyes after she finished her reading. Some people say Men We Reaped falls short as well, but I definitely plan to read it. She leaves a lot to be desired!